Hard to put into words ....this trip was mindblowing to say the least... The incredible feeling of achieving this ride, especially for me, not being an experienced ider...awesome. The scenery ... just too beautiful and the experiences with the local ietnamese minority groups was something special. To be travelling these remote areas of Vietnam... that are free of tourists... now this is true travelling. 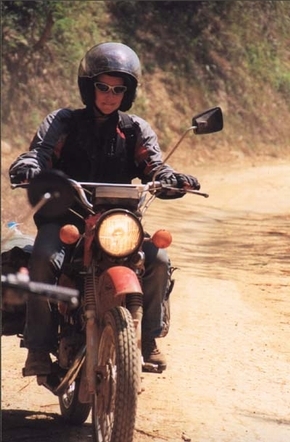 To be on the open road on the bike, and a Minsk at that, not confined to a bus , to really "feel" the environment around you... is the only way to explore Vietnam. I cannot explain the total exhileration I experienced on this five day trip...but trust me...it is something you will never forget... and you will want to do it all over again. You really have to give yourself the opportunity to do this amazing ride... otherwise you're just missing out!